The wedding was over, and the reception was in full swing. Dave an usher, was having a great time with other members of the wedding party. His wife, Betty was not. "Don't be to mad at Dave," a friend told her. "He did a terrific job. I'd be glad to have him usher at my wedding." 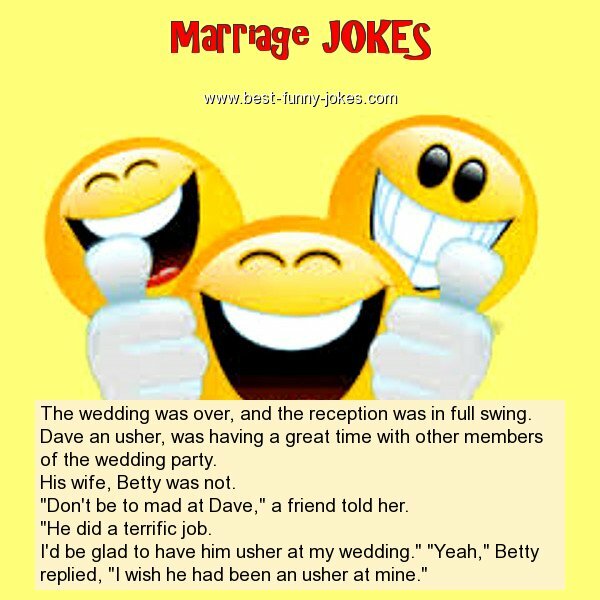 "Yeah," Betty replied, "I wish he had been an usher at mine."